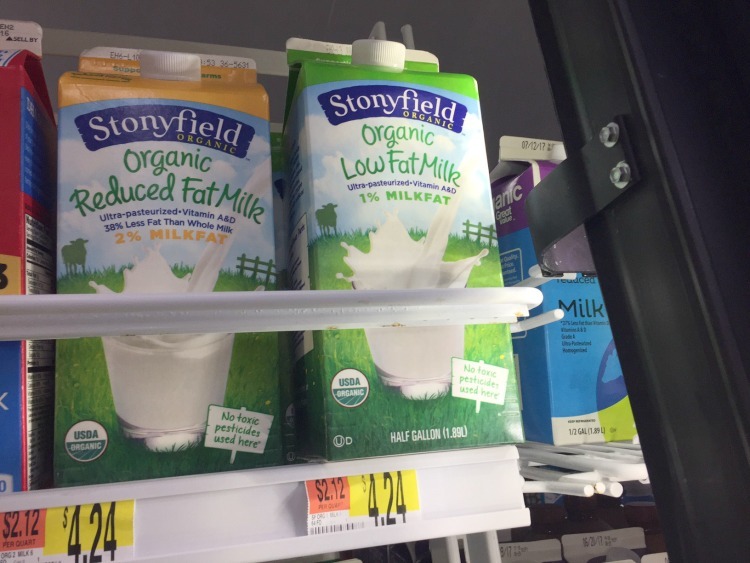 This post about 6 surprising organic finds at Walmart is sponsored by Stonyfield. 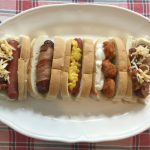 As an ambassador, I was compensated for this post. 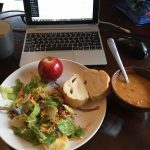 There are always three things that I’m constantly trying to improve upon in my family’s life…. the quality time we spend together, the amount of organic food we consume and putting more money into our savings account. Eating organic on a budget can be tough. 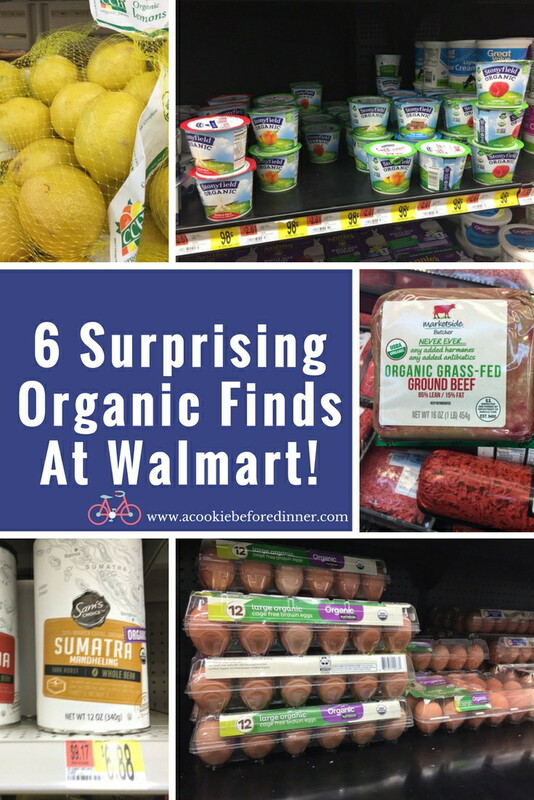 On a recent trip to Walmart, I was surprised to see how many organic products that I typically find at my usual grocery store were also available (and more affordable). Organic grass fed beef. Buying beef in a store is still a newer concept to me. 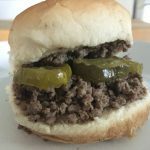 As a child who grew up in rural Illinois, we bought our beef a half a cow at a time from the farmer. My mother would order the different cuts she wanted and we’d stash it in the freezer. 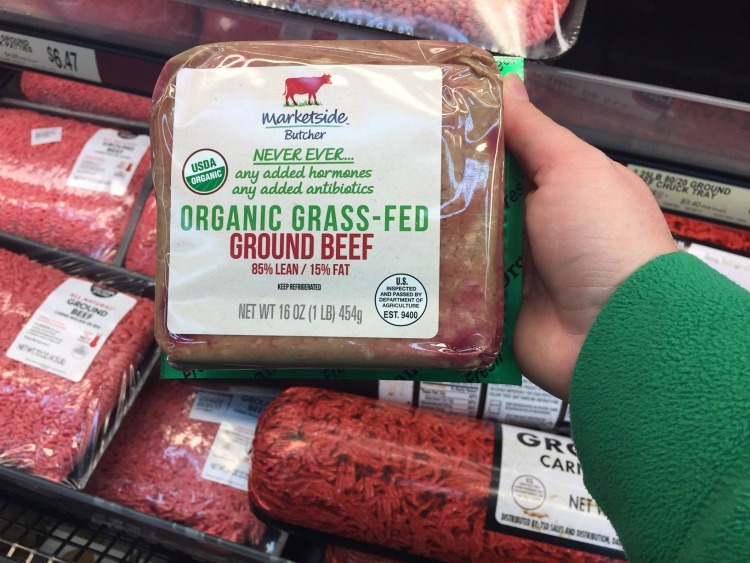 My family LOVES grass fed beef and I was super excited to see it! 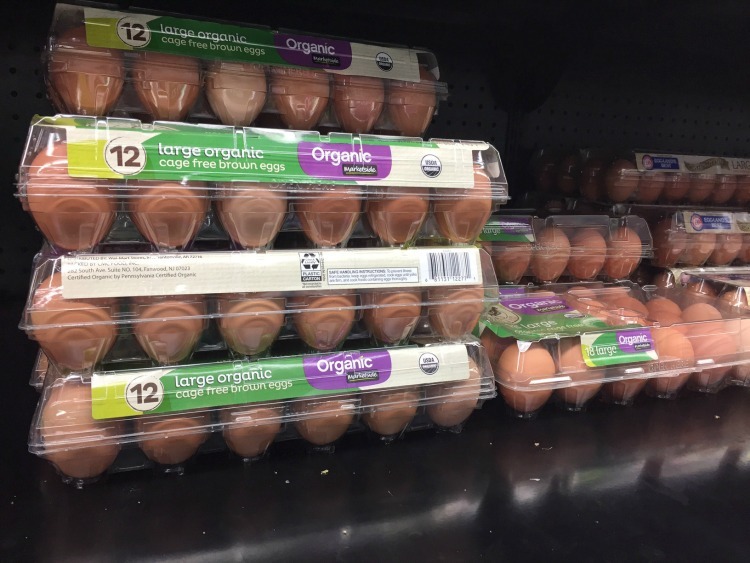 Organic cage free eggs. In general, eggs are a hard food for me to consume. I have a few food sensory issues and it’s hard to get the texture of an egg just right for me. However, a few years ago I went to brunch at a friends house. The eggs were out of this this world…. I couldn’t get enough of them. I asked how they were made and was told the secret was that they were organic eggs. Since then? Organic cage free eggs have been staple. Organic coffee. 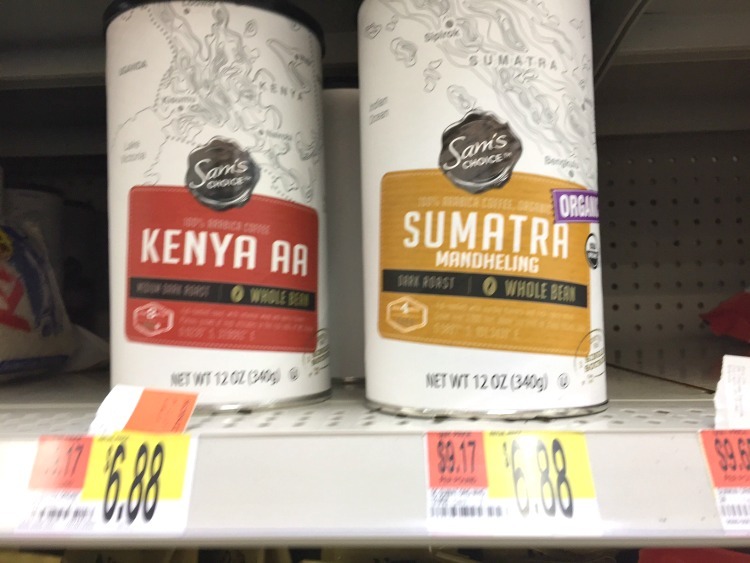 I have heard a lot about fair trade coffee, but I didn’t know that coffee could also be organic until I found it at Walmart! Coffee is my love language, so this is an excellent find! Organic lemons. We go through a lot of lemons in our house because after coffee, my second favorite drink is hot water with honey and lemon. 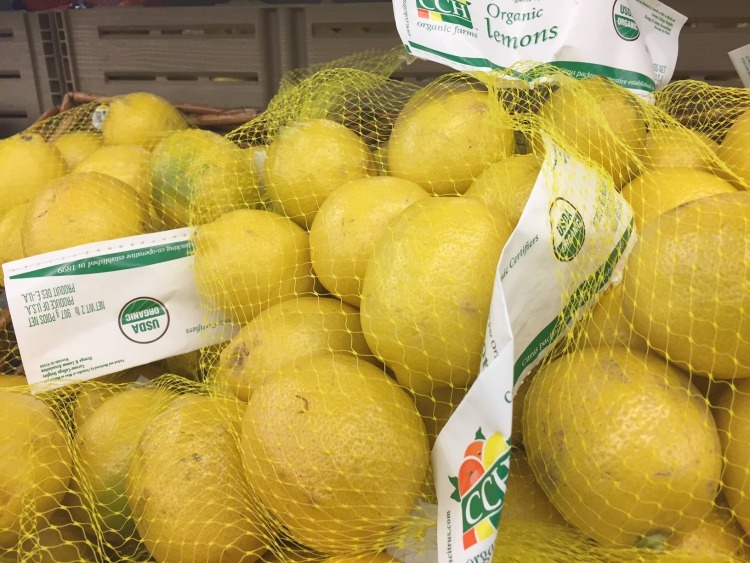 Organic lemons at Walmart? AWESOME. Organic milk & yogurt. 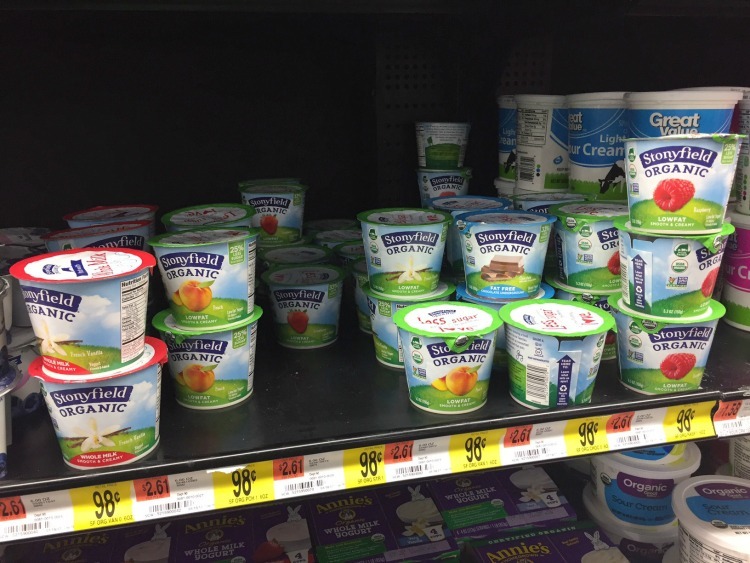 Stonyfield products are a staple in our home. I have gone from drinking creamer + sweetner in my coffee to drinking just creamer to drinking just cream to drinking just organic whole milk in it. What a big different it has made! 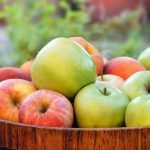 In our home, the veggie crisper, fruit bowl and yogurt drawer are always available for snacking. 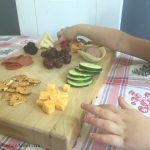 I don’t mind my kids “spoiling” their dinner with carrots, an apple or a yogurt. And 9 times out of 10, they’re ready to eat dinner too. But, having a policy like that in our house means that I’ve got to keep it stocked! 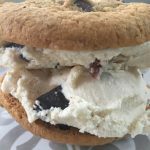 Stonyfield yogurt makes snacking easy at our house! On this recent trip, I bought a variety of smaller cups for snacking and larger pints for recipes!